eProvided recovers files on hard drive disks. eProvided retrieves data on any type and size of internal/external hard drives. Recover photos and lost disk data on any type hard drive or SSD. Regardless of drive type or size. eProvided will recover lost disk data and images, formatted disk drives & disk drives no longer recognizable. Damaged drives, corrupted data, and damaged images or documents are targeted for recovery. We recover overwritten data, lost photos, deleted documents, and deleted images of any type. Any degree of hard drive disk damage is salvageable. Unable to retrieve files on hard drives that were there previously and lost? Need files recovered on a solid state drive? eProvided will find them! On Avg. 97% of the cases we work with lead to successful lost data recovery. Data Recovery programs and software often damage data beyond repair! Stay far away from them and use eProvided for your all-in-one, memory retrieval service. Your Hard Drive Problem ? Many times SSD drives or PCIE SSD’s suffer circuit failures. 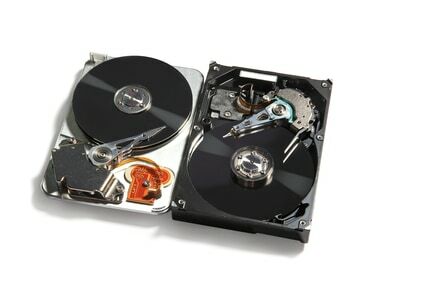 Traditional hard drives experience moving part failures where the disk drive platters become damaged or scratched. eProvided recovers files from portable USB hard drives, Solid State Disks and internal HDs. In some cases we repair the drives temporarily in order to extract the lost files. Turnaround time is 1 to 3 days (or less) upon receipt of damaged hard disk drive at our lab. We can recover data on overwritten drives & formatted disk drives. Rush service is available (See case submission form for RUSH instructions). We do not charge a recovery fee unless we recover data that you do not already have. We charge flat rate recovery fees based upon the size of your hard disk drive. (in GB/MB ) See pricing page. We can recover data from hard drives that are no longer recognizable due to extreme disk damage. We can perform NAND chip replacements, circuit replacements, and repair any internal damage. We can perform NAND Data Recovery. A process where we directly access NAND memory chip banks. Ship your device to us now to get your lost data, lost images, and files back. Complete the Hard Drive Recovery Form for missing data, deleted files, or any other lost file types. Be sure to send the shipment in a protected, padded envelope. We perform a free evaluation & drive analysis. We’ll contact you within 1-3 days upon arrival. We recommend FedEx for speedy delivery you can track. You can track your eProvided order status in REAL TIME and check your case status anytime, day or night.